Dark Versus Light: Which Hardwood Floor Color Trends Are Right for Me? Hardwood floors add quality, durability and class to any home. New flooring adds resale value to your house, and it creates natural beauty thanks to the grain of the wood and gorgeous wood stain. Hardwood floors withstand the tests of heavy furniture, dogs running through the house, indoor soccer games and moving your treasured hutch around the room. After you decide on what style of wood flooring you want, you have another important decision to make. Which shade is right for you? Do you want a light shade of wood flooring, or do you prefer a darker color? 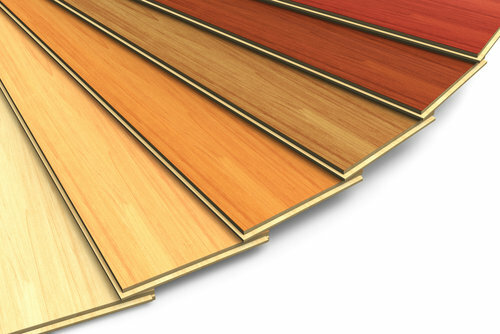 Here’s a handy guide to show you how to choose which hardwood floor color trends re right for you. There are pros and cons to both dark and light hardwood flooring. Dark hardwood flooring brings a rich color tone to your entire house. Darker shades also make your home look more grounded with earthy tones of brown or even close to black. Consider a few factors when looking into dark hardwood floors. The type of wood that manufacturers put into a floor may determine how dark of a stain goes onto the surface. Walnut, mahogany and Brazilian cherry woods are already dark. Additional dark stains may not work with these woods On the other hand, oak or maple both represent a perfect opportunity to darken your hardwood floors. Darker colors are harder to maintain simply because of the way they reflect the light inside your home. Dark stains make scratches, nicks and dings show up more prominently when they expose the lighter wood underneath the surface. Light reflects dust more readily for darker shades, so get ready for weekly cleanings with a dust mop after you notice the layer of dust that accumulates on your floors. Darker stains are great at hiding defects in the wood. If there’s a huge knot in one piece of flooring, dark stains mute the effect and create an even tone over your entire house. Everything fades due to exposure to sunlight, and dark stains resist this fading because it takes longer for them to succumb to the lightening effects of sunlight. Let’s take a look at the advantages to choosing light hardwood floors over dark ones. The advantages of light hardwood floors are almost the opposite of those of darker floors. Light stains bring out the natural beauty of wood. If you purchase high-quality hardwood floors, the beauty of lighter shades can make your home look brighter and more cheerful. Lighter-colored wood floors hide scratches better because the wood is already a similar shade to what’s underneath the surface. Light reflecting off the floor hides dust. Unfortunately, any dark knots, gnarls or imperfections of the wood come out and figure more prominently, which is why you should purchase high-quality woods for light floors. 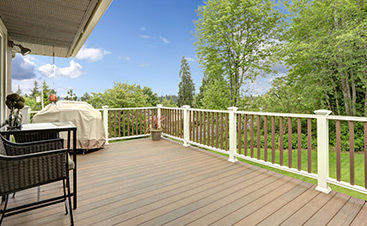 Urethane and glossy protectants blend in better with lighter woods. 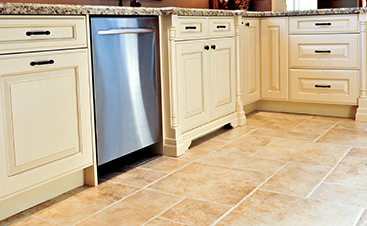 This effect creates a sheen on your floors that adds even more natural brightness to your home. On darker wood floors, this shine is less pronounced. The overall effect creates a well-lit living space that’s easier to see. 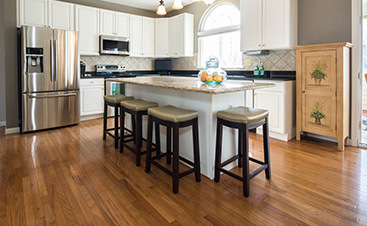 New or refinished hardwood floors serve as the centerpiece of your home’s color scheme. The shades of the floor should match other aspects of your home to make a pleasing design. What do you want the rest of your home to look like when you have hardwood floors? Discover a few more reasons why should choose light or dark hardwood floors based on the overall look of the interior landscape. Do you own any wood furniture? Take a look at your dining room table, hutch or desk. Do these pieces have light or dark stains on them? Consider matching these stains with those of the floor before you have your new hardwood floor installed. The experts at Flortec can examine your existing furniture to find the best match for you. Choosing a stain that matches your furniture is especially important if you have a cherished heirloom piece that is the heart of your decor. What color is your kitchen cabinets? If they are stained, you might want to match your hardwood floors to that shade. On older homes, the trim around windows might also have a natural wood stain. Wood-trim on walls might also have a different type of stain. You can match these shades as well. Ultimately, your choice of light or dark hardwood floors comes down to your personal preference. What looks good? What fits in with your design scheme? What kinds of protectants do you want to cover the stain? What type of wood grain do you want? The experts at Flortec can help answer any and all questions you have about every aspect of hardwood floors. Flooring is not just our business, it’s our passion.